Hello! 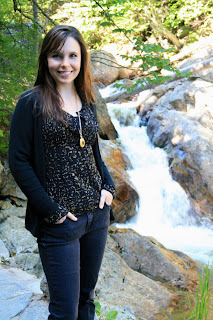 Welcome to my second post on my New Hampshire/Vermont vacation. My family loves waterfalls, so whenever we travel we always see if there are any waterfalls to see. 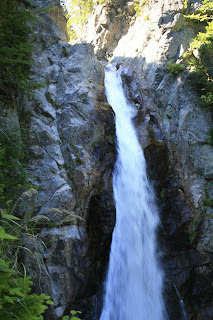 On this trip, we saw a ton of waterfalls; seven total! 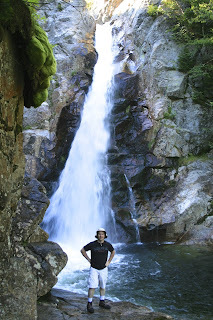 The first one we visited was Glen Ellis Falls located inside the White Mountain National Forest. The water from the Ellis River plunges 64 feet to the basin below. I put my husband in the photograph below so you could get an idea of the scale of this waterfall. Most of the hiking trails in the White Mountains were quite strenuous and difficult, but the trail to these falls only had a few steep steps, and it was a relatively easy 0.2 mile walk from the parking lot. It was very peaceful and relaxing, and we got to see a lot of neat rock formations and white water like in the photo with my son below. A sweet mother/daughter shot next to the river. There were many pretty rock formations to sit on and take nice pictures. And, from a fashion standpoint, since the walk was so easy, we could wear normal clothes (except for the hiking shoes) instead of workout clothes. Being the fashion conscious person I am, I like that! My beautiful daughter standing next to one of the smaller falls along the river. Sweet hubby posing on a bridge overlooking the Ellis River. 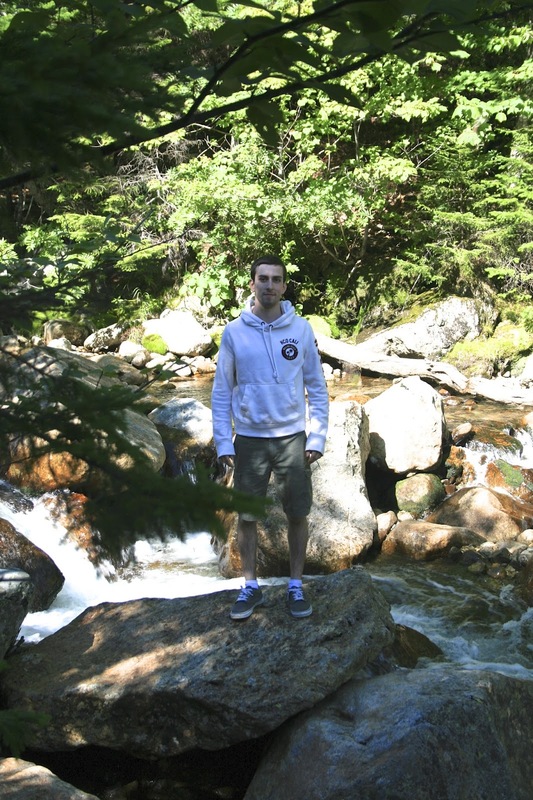 Me standing on one of the overlooks to the main drop of the falls. Now for the sweet couples turn: Son in law Jason and daughter Ashley. 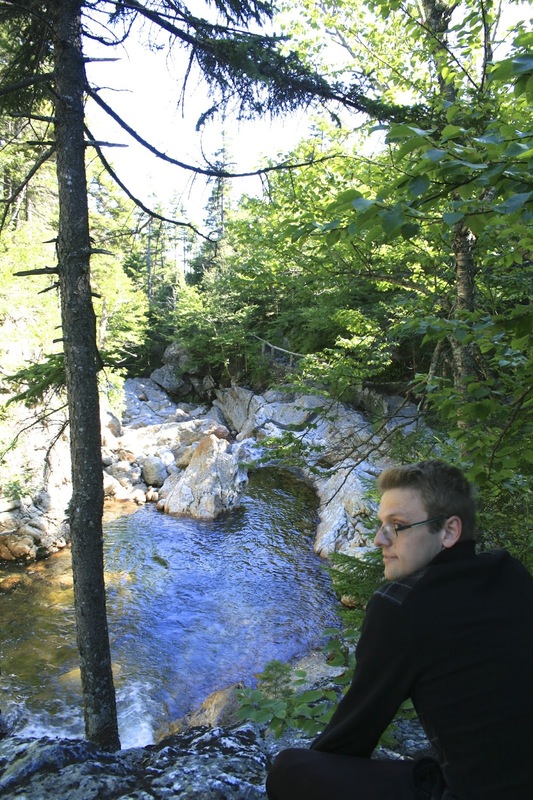 Jason overlooking the pretty Ellis River on the way to the Falls. My son Jordan loves to rock hop, so he really enjoyed these falls. Loving all these photos Amy. It looks so beautiful there, and the weather also looks just so perfect too!